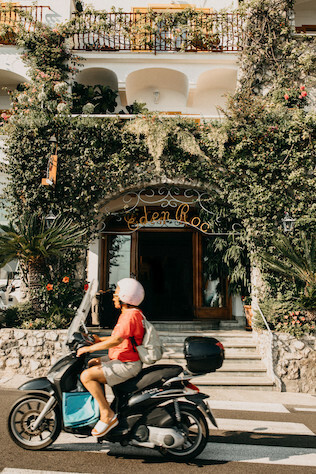 Brit and Shaun decided to stray from the average wedding and secretly elope for an Italy destination wedding in the seaside city of Positano. 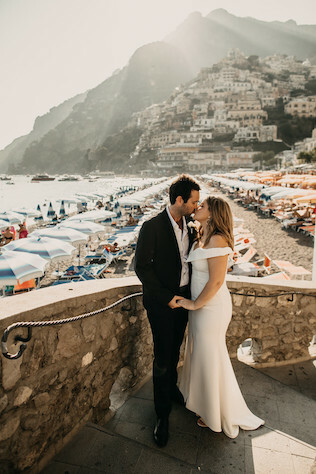 After going back-and-forth about the location, the newlyweds decided Italy offered them something exciting and unique that could not be found anywhere else. Brit admits that her husband did most of the planning, which turned out to be simpler than they expected. “The hardest part was keeping it a surprise,” she says. 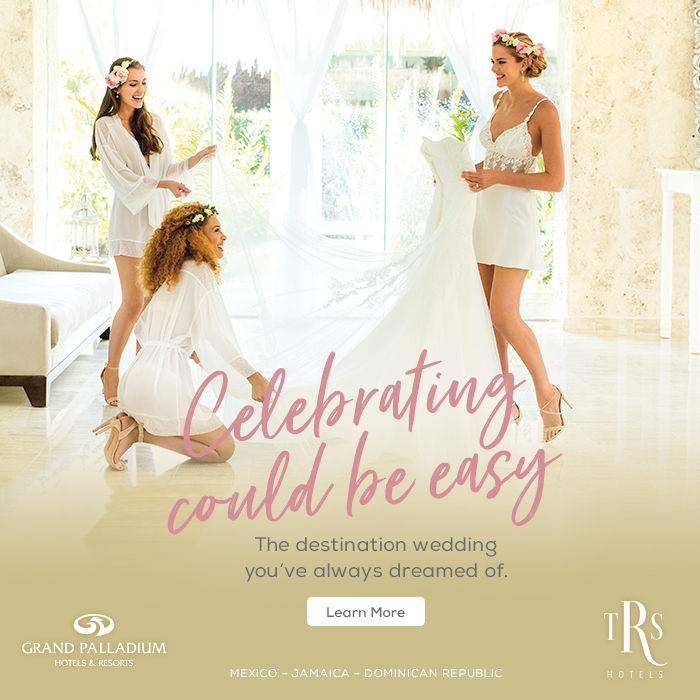 Instagram and Trip Advisor contributed to the ease of the organizing, as the couple says they were able to find wedding packages and vendors through these resources. Travel logistics for the pair were easy because of the minimal guests and they were able to enjoy many sights just the two of them. 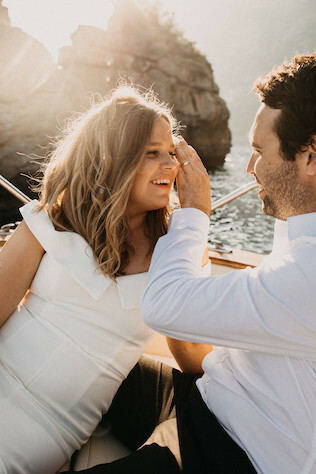 “We ended up meeting our mums in Rome and travelled to Positano together,” says the newlyweds. Brit and Shaun focused mainly on their own travel costs and the couple says the overall price of their wedding would have been around the same if they had stayed home. “But we got a five-week overseas holiday, instead of one day,” says the bride. Additionally, language barriers were sometimes a challenge, which is why the couple suggests using lots of visual references.